Electric bicycles are growing in popularity in Salt Lake City. 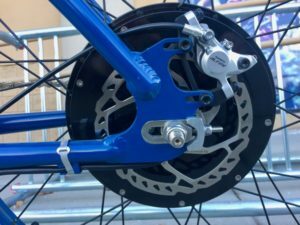 They have a small motor on the rear-hub or a mid-drive motor in-between the pedals. They perform better than traditional bikes, giving you more riding options, whether you're off-road or on the street. At our bike shop, we have some excellent high-power e bike options, with strong motors for quick, torque-filled riding experiences. Ride in Utah on the mountain or road. Haibike manufacturers high-power bikes with electric motors. We offer a lot of these high-performance cycles with the 500-watt Yamaha power-systems. Electric bike motors provide either a pedal-assist or a pedal-free throttle. Some give both; some have one or the other. We should say, starting out here, that there is some question about the actual power offered on a lot of these favorite bicycle motors. There's confusing and conflicting information online, including on the manufacturer's sites. The truth is that these are pretty sophisticated motors that are capable of performing better than laws will allow. The bicycle manufactures actually have to create technology that limits their performance, to comply with local laws. A low-power motor like the German-made Brose on the iZip E3 Moda only has 250-mph, but it's so well-built and has a high watt-hour battery, providing an optimal commuting range. It maxes out at 28-mph, the speed limit for e bikes, so it's not like you're sacrificing performance on this mid-drive hybrid. 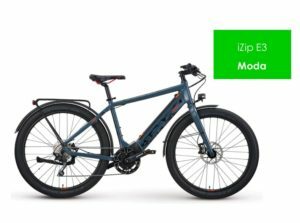 iZip E3 Moda is a popular electric hybrid bike with a 250-watt Brose motor. A good analogy when thinking about electric bike motor power is the history of automobiles. It used to be that you had to have at least an 8-cylinder engine to be considered a "fast car." But car manufacturers are now making speedy 4-cylinder vehicles. The same goes for ebikes. The size of and power of the motor isn't necessarily a good indicator of performance. The laws in Utah on city streets designates that a street legal e bike must not exceed 28-mph with pedal-assist and 20-mph with a throttle. These are called class 3 pedelecs. Maximum power-systems allowed on Utah roads is 750-watts. There are few classifications of e bikes that are legal on Utah roads. Class 1: Pedal-Assists offer pedal-assist only. All Haibikes with Bosch and Yamaha motors fit into this classification. Class 2: Throttle On Demand classified bikes allow for pedal-free throttle, and can go as fast as 20-mph. Many of our iZip and Magnum road bikes fit this category. And Class 3: Speed Pedelec bicycles are often hybrid-style electric bikes and can go as fast as 28-mph with pedal-assist, and 20-mph with a throttle. Here are some standard size motors on these three classes of road-worthy and mountain-legal e bikes. 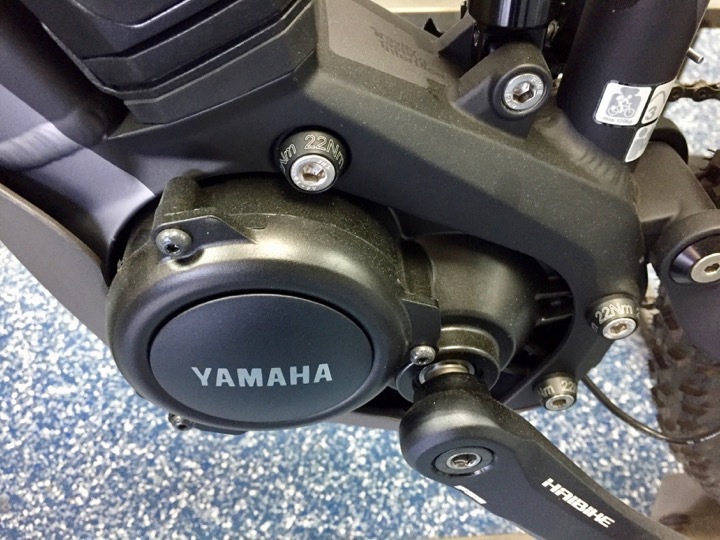 The majority of the motors we sell at High Country are Yamaha torque-sensing systems, with 500-watts of electricity. That's the average usage of these systems, but they have peak power-output at 750-watts. We also sell Bosch power-systems. 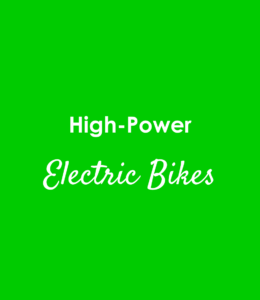 This manufacturer offers multiple options to e bike brands, but all the models that we carry have 350-watts of power. A number of our hybrid e bikes have 350-watt mid-drive motors by Currie. We also sell the iZip E3 Vibe, a well-liked, extra-small road bike, and the Raleigh Retroglide IE, a gorgeous beach cruiser, both of which come with these lower-powered motors. We also sell the Magnum Ui5 with a 350-watt Bafang hub-drive built in China. We also offer hub-drive e bikes with 500-watt motors, like the Das-kit on the Magnum Metro and the Currie hub-drive on the iZip E3 Zuma. As mentioned earlier, we sell the iZip E3 Moda with a Brose 250-watt motor. Shimano Steps also produces a 250-watt motor offered on the Raleigh Detour found in our store. Again, we wouldn't dismiss these lower-wattage motors like these. We very regularly have customers try these motors, and they're blown away by the speed and torque. If you're unfamiliar with bicycles with electric motors, these can be excellent starter e bikes. We do carry some e bikes with really powerful motors that are not, technically, road legal. So buyers beware. Vintage Electric Bikes are riding a delicate line between legal and illegal. They offer street road and race mode (for customers that want to ride on the wild-side). With street mode, your motor will max-out at the legal limit, with 750-watts and 28-mph. The race mode pumps up your power to almost 3,000-watts, giving you speeds up to 40-mph. Hi-Power Cycles (HPC) at High Country E Bikes are the hot-rods of electric bikes. They are ideal for those accustomed to insane amounts of speed on motorcycles but want an electric motor. Some HPC models, like the Enduro, come with Bafang motors that can be as powerful as 3,000-watts. They're fast--Really fast! 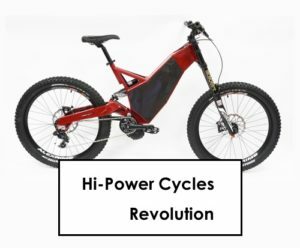 If you want an even faster electric bike experience, and you'd like to try to die young, then you want an Hi-Power Cycles Revolution, with a motor that's as powerful as 8,000-watts. These are pretty crazy. We're not going to lie. With an e bike like this, you can go as fast as 80-mph. 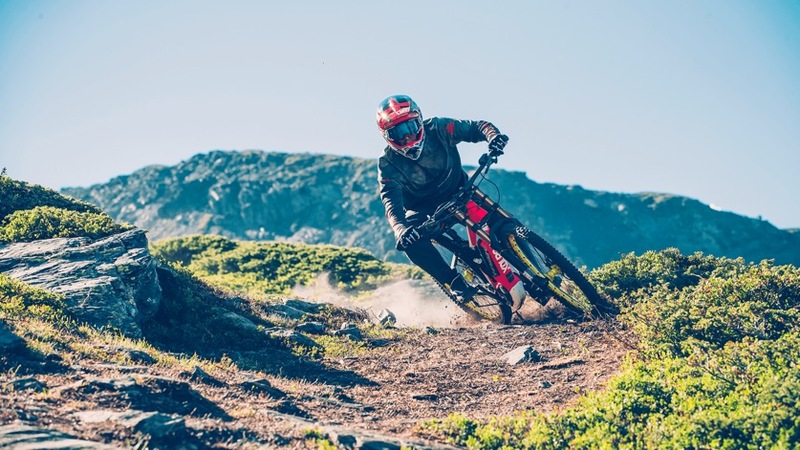 High Country E Bikes in the Salt Lake City area has the biggest selection of electric bicycles in the state of Utah. These are some of our most popular models. See us in Utah or call to order one of our best high-power electric bikes. We'll find the right model for you, at a reasonable price.